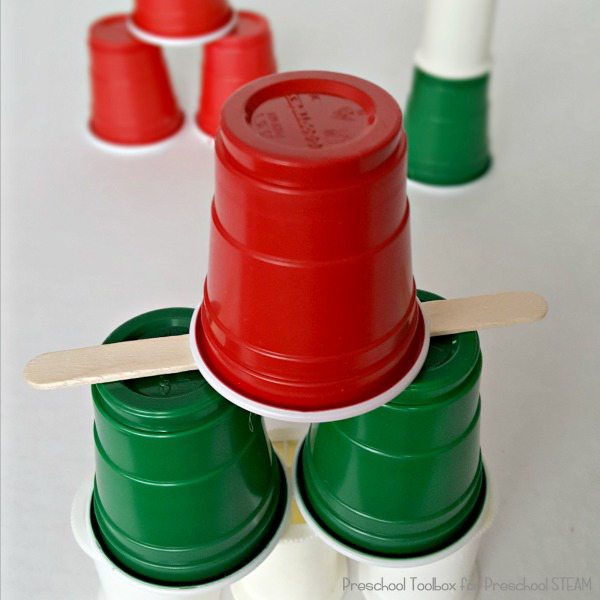 Kids often engage in games and activities that require them to stack things. 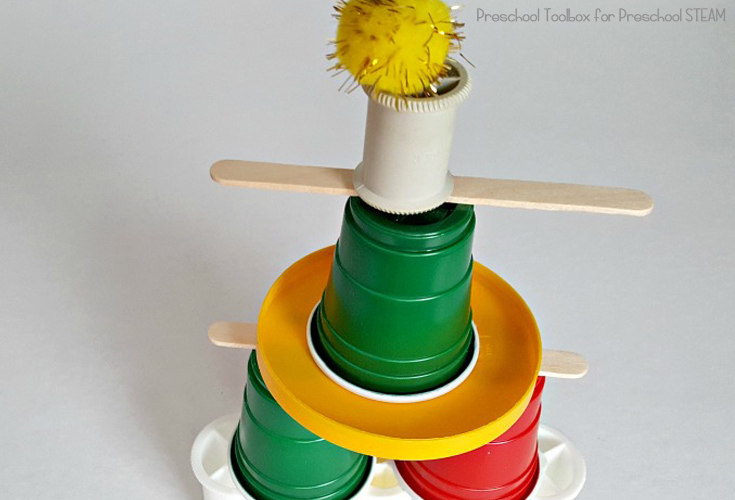 In fact, one of the first activities we do with toddlers is build a tower with blocks and knock it down! 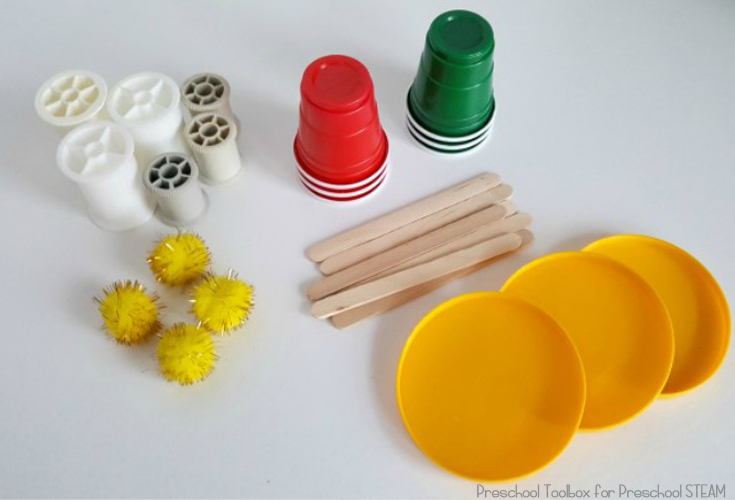 In this STEAM activity for kids, sort and stack a variety of objects to explore the properties of materials that make stacking them easy or difficult. Stacking is something that we do every day without much thought. We stack books on a shelf; we stack plates in the cupboard; we fold and stack t-shirts from the laundry basket. When kids are playing, they stack things: blocks to make a tower; playing cards to shuffle for a game of Go Fish; pillows to make a fort. And even at an early age, they can help with some of those chores that require stacking, especially books and clothing! But some objects are easier to stack than others. 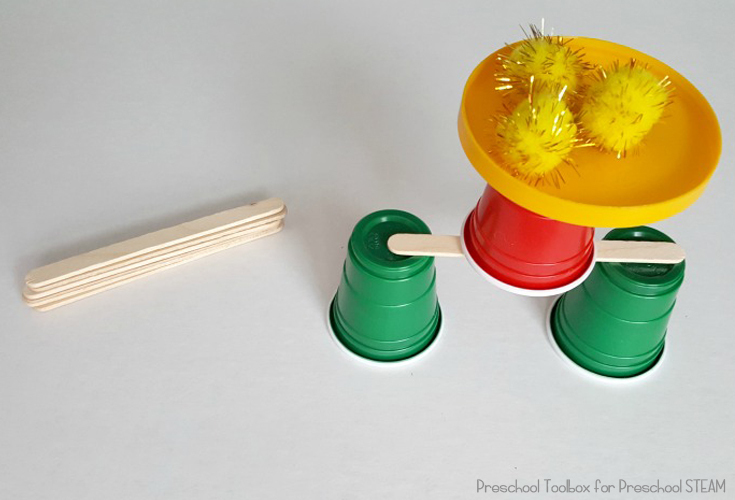 In this STEAM activity, kids explore the stacking properties of materials to see how they ‘stack up’ against each other! 1. Ask: Will all the materials stack easily? 2. Make a hypothesis: Which objects do you think will stack easily? What is it about an object you chose that will make it perfect for stacking? 3. Experiment: Begin stacking objects. 4. Observation: Does it help to have one larger object or several objects as a base at the bottom of the stack? 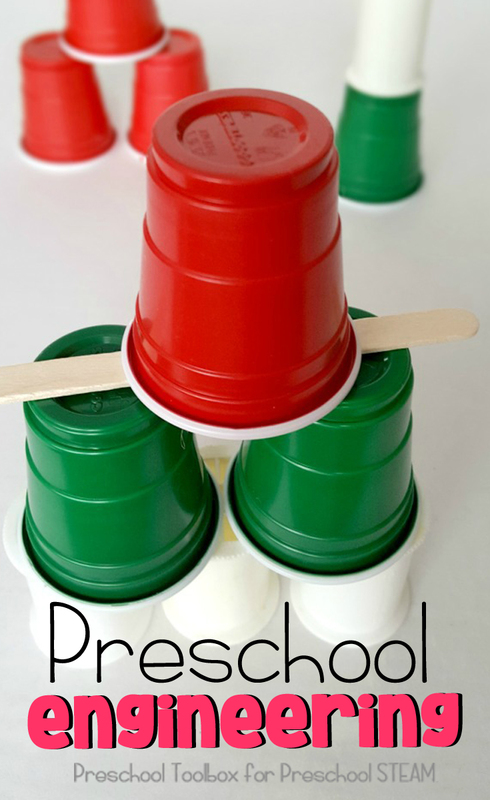 Is it easier to stack items that are the same than it is to stack a mix of different objects? We were able to stack two glitter pompoms but not three. We were not able to stack the regular pompoms at all! 5. Conclusion: Engage your young scientist in conversation about why some stacks topple and others don’t. Try to think of some everyday occurrences of stacking and what you could do to make the process better. This will help apply scientific principles to the world around you. Example: Stack books in two or three small piles instead of one tall pile. 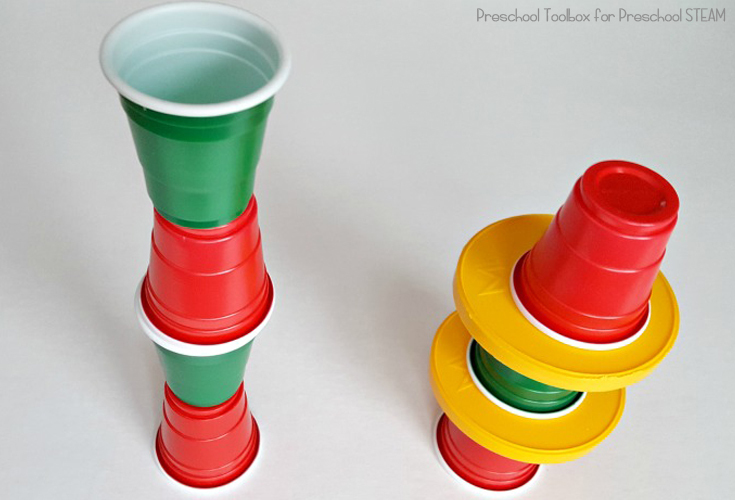 There are properties that contribute to the success of objects being stacked one on top of the other. 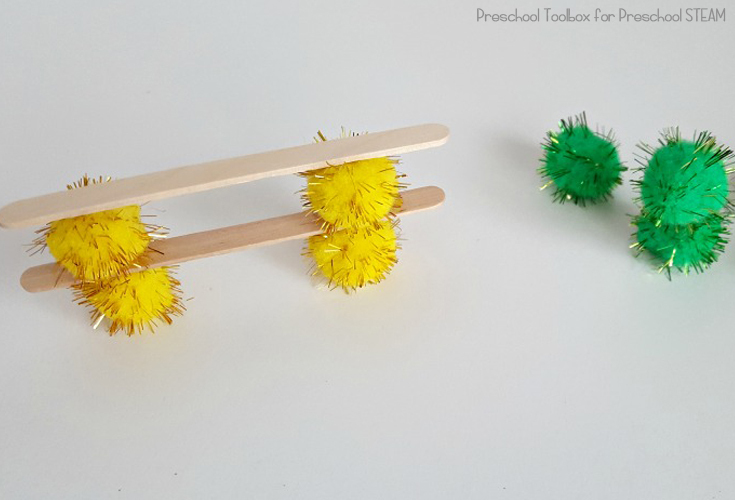 These include the size and weight of the objects, friction, center of gravity, and how level the surfaces of the objects are. How much you explain to kids will depend on ages, interests and skill levels. 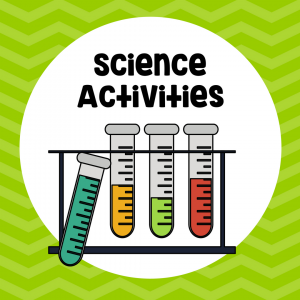 Introducing activities promotes wonder and observation as kids explore their environment hands-on! About the Author: Heather is a former preschool teacher and founder of preschooltoolkit.com, a website providing early learning resources for teachers and parents. 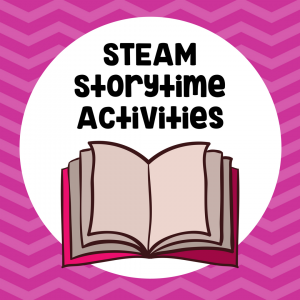 She focuses on creating fun crafts and activities that engage developmental skills while promoting hands-on learning through play. Follow her on Facebook, Pinterest, Twitter, Instagram, Google+ and Linkedin.